These bingo cards are about Hanukkah, which in date falls arounf the Christian Christmas. Hannukkah is celebrated by the Jweish people and lasts for 8 days, as the story tells the candle was sufficient for eight whole days. Hanukkah celebrates religious and militant wins of the jewish nation. 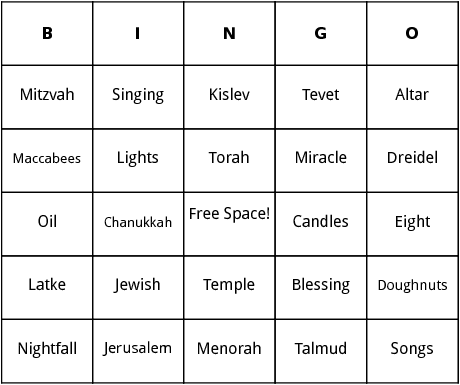 Enjoy Hanuka with these bingo cards, Amen!